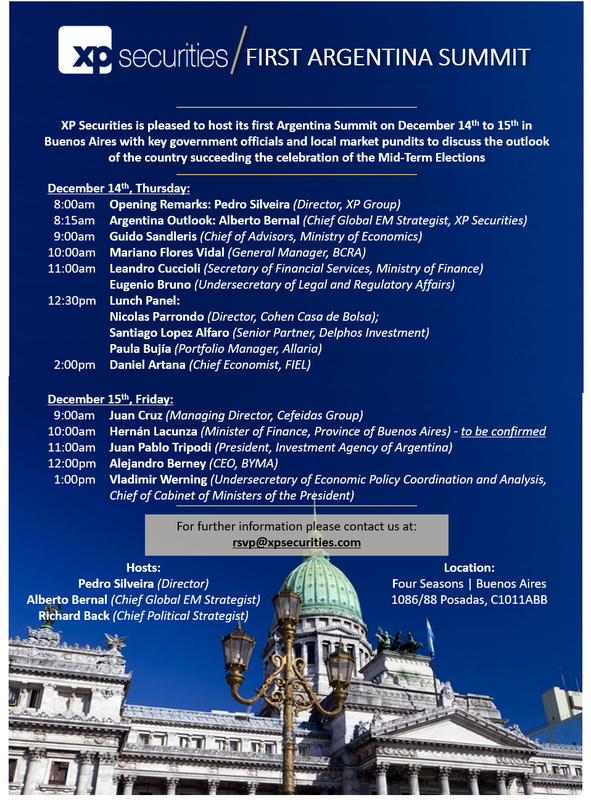 On December 15, managing director of Cefeidas Group, Juan Cruz Díaz, presented at the first Argentina Summit hosted by XP Securities in Buenos Aires, Argentina. 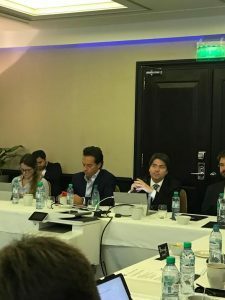 The two-day public event brought together key government officials and local market pundits to discuss the outlook of the country following the Macri administration’s success in the midterm elections. Mr. Díaz provided insight into the political challenges now facing the government. To see a full agenda of the event, please click here.